Garrett Thomas is a wonderful performer, teacher and lecturer. He recently traveled across the U.S. and he stopped in Houston, Texas where he took time to sit behind the microphone to give us a mini-lecture. Well, it may not be so "mini" as he spoke for over two hours with the first part being posted in this podcast. But before Garrett begins, we have to address the topical magic story of Stan Allen who prematurely "pulled the plug" on MAGIC Legacy plus he would publish one more issue of MAGIC Magazine and add another MAGIC Live! convention in 2017. After some of the dust settled in the magic social media, Stan took time to talk about the thoughts that went through his mind into making this hard decision. In an effort to keep the podcast to about one hour in length, our conversation has been broken into two separate podcasts. In this Part One, Garrett talks about the importance of creating "astonishment" in the lives of our spectators. He will follow through with this discussion in the next podcast plus he will talk about his work as a consultant for David Blaine plus working at the fabled Forks Hotel in Buffalo, New York, original home of the F.F.F.F. 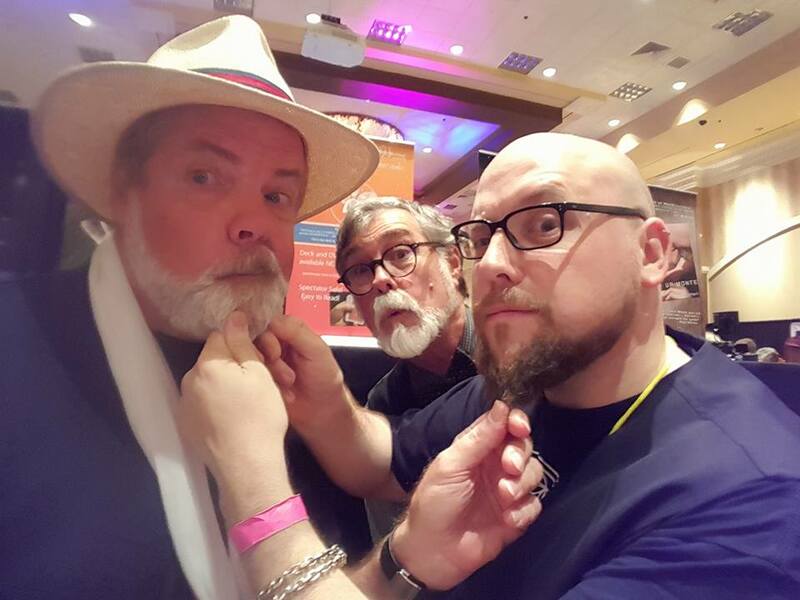 close-up convention. Garrett Thomas demonstrates his presentation of "Pen Thru Quarter". 00:03:30 - Stan Allen decided to cancel MAGIC Legacy before it got off the ground. He talks about why he made this decision and also about the future of MAGIC Live! 00:22:30- Garrett Thomas gives us a lesson in "creating astonishment", approaching tables to entertain guests, and making magic an art. Please sign this petition to help pass House Resolution 642 that will recognize "magic" as a true art form. We need your signature today. Click on the banner above for a free tutorial on how to perform this modern day card classic. And be sure enter the contest to win a free deck of cards needed to perform this effect. Congratulations to Tony Baronio, Robb Peffer and Shaun Rivera who won a FREE deck of cards for the "Anniversary Waltz". Thank you to 60+ people who registered for this contest. Be sure to enter this week's contest for a FREE set of Loops by Yigal Mesika. 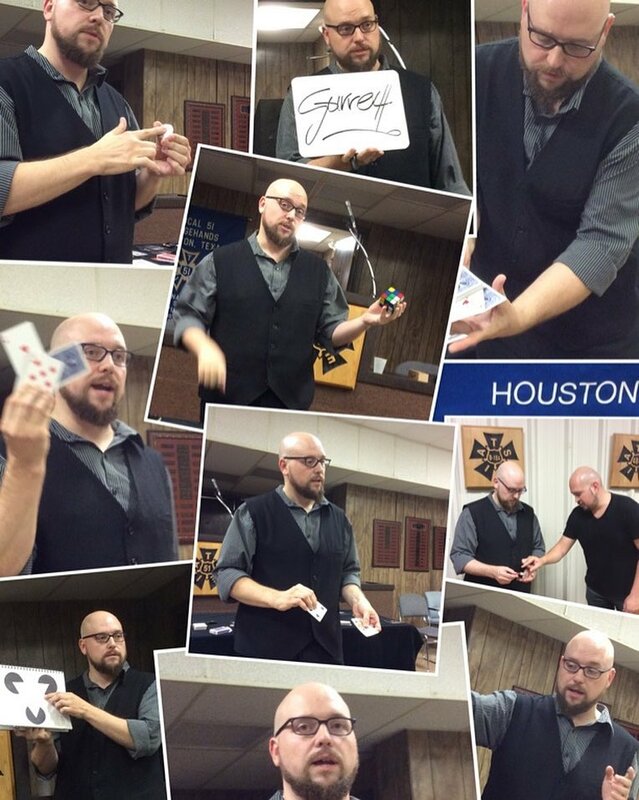 Tagged with Garrett Thomas, Stan Allen, MAGIC Legacy, astonishment, MAGIC Live. September 29, 2016 by Scott Wells.